Propane heaters are a common heating solution as they offer plenty of benefits over the electrical ones, the big question a lot of people ask however is can you use a propane heater indoors? No, it advisable to use just any propane heater indoors as it is dangerous, however, yes there are some propane heaters (and conditions) that are safe to use indoors. Some benefits of a propane heater beside their low cost include energy efficiency, low pollution, and portability. It is common for people to search for propane forced air heaters for their garage. However, you have to be careful about how you use a propane heater, especially indoors. If a propane heater malfunctions, or are used incorrectly, you will be exposed to a higher amount of a dangerous gas called carbon monoxide, which can cause temporary as well as long-term effects on health. Malfunctions of such devices happen for one of the three reasons: either the appliance is old and thus unable to operate properly, it is not maintained as it should be or it is being misused. Either way, if a propane heater starts producing more carbon monoxide gas than it should, it is mandatory that you turn it off and inspect the unit to find the source of the problem. Before we continue let us first remind you that this article is just a guide and you should always consult the user manual of a product you have bought or consult an expert as to whether you can use a device indoors. So can you use a propane heater indoors? That depends. It is important to know what your heater is rated for. Some propane heaters are marked outdoors-only, meaning they should never be used in indoor areas. Using an outdoor-only propane heater in your home will cause a great danger of CO poisoning as the amount of gas will increase. If a device is marked as an indoor propane heater it can be used indoors only if you follow the manufacturer’s instructions properly. 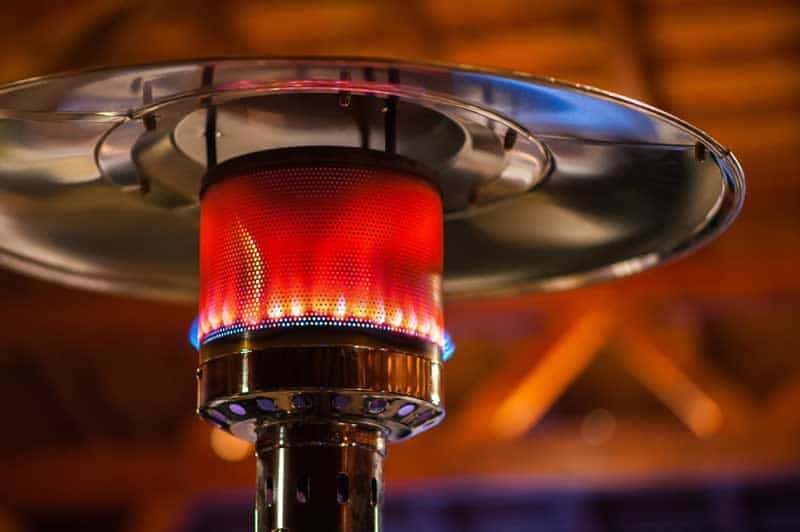 Make sure to never mix indoor and outdoor use propane heaters, as that can increase the risk of possible problems. What is so dangerous about CO gas is that it is colorless and has no odor. Meaning, most of the time people are not even aware they are exposed to higher amounts of the gas. To improve your awareness of the issue, you should know the basic symptoms of CO poisoning, which include dizziness, sudden and strong headache and nausea. If you think you have one of these symptoms while the heater is running, turn it off and get some fresh air outside. Make sure to always read the instructions prior to using the device. No matter how much experience you have with propane heaters, instructions and ways of use vary from product to product. Therefore, not all propane heaters are the same. Make sure you are completely familiar with how your appliance works and what kind of maintenance it needs. Outdoor heaters are strictly for outdoor use only. That means you cannot bring them inside rooms, tents, campers, garages or any other type of closed space. Doing so will significantly increase the risk of CO poisoning and major consequences for health. If you are using an indoor propane heater, place it near a window or an air vent to prevent the gas from building up. To ensure safety, the space in which you are going to be using a propane heater must be well ventilated. Never leave a propane heater unattended while sleeping. Moreover, according to the Border States organisation, when using a propane heater indoors, the size of the appliance must be appropriate for the area it is heating. To measure this, firstly measure the volume of space in the room in cubic feet. Then multiply the number by 2 or 4. Whether you are going to multiply it by 2 or 4 depends on how well the area is ventilated. With this calculation, you will determine how many British Thermal Units the device should be putting out in that specific room. For safety reasons, a propane heater should never be kept on wooden surfaces. It is best to keep it level on a concrete surface and away from any flammable materials such as chemicals, cloths, curtains, etc. Propane tanks with the capacity of over 100 pounds of propane MUST NEVER BE USED INDOORS. This rule goes without any exceptions. Even the propane heaters marked as indoor heating appliances should only be used if the place is well ventilated. The National Fire Protection Association states that the cylinder tanks of stoves and oven must never be placed inside your home. Always place cylinder tanks outside for the sake of safety for you and your family. In fact, NFPA claims that no propane gas cylinder larger than one pound should ever be placed indoors. To confirm the above-mentioned safety advice regarding the use of propane heaters indoors, below are the official propane safety regulations by the Occupational Safety and Hazard Administration of the United States.